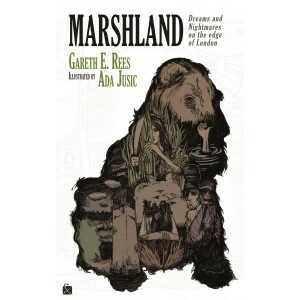 Marshland: The Mix | Unofficial Britain. In my book Marshland I write about my hallucinatory experiences while listening to music and walking. At certain moments, the music blends with the sound of wind, hooting horns, dog barks and human voices, creating a unique audio mix. At times it’s hard to tell the music from the sounds transmitted by the city. The distinction disappears. The music mutates the landscape and the landscape mutates the music. I call these experiences soundchronicities. They create a space where mind, music and environment intersect. It’s a magical world, liberated from the rhythms of everyday reality, and utterly transient. It exists for a moment in time, somewhere in between you and the artist, mediated by the landscape. Below is a mix of marsh music. Please do check out all these artists if you like what you hear, and support their work!